Though locks are built to be as strong as possible, there are still many ways that they can become disabled or broken. 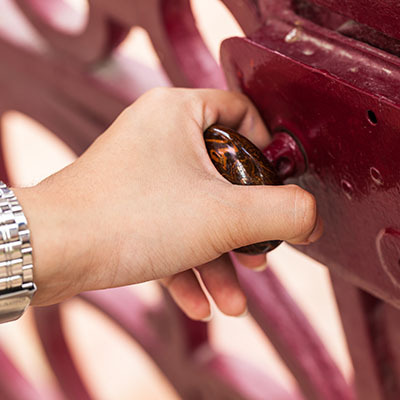 Their job is so important that when they break, it very suddenly becomes vitally important to quickly find the nearest locksmith service and have them repaired. It is possible to reduce the likelihood of your most important locks from being broken and needing an emergency locksmith repair. Here we’ve put together a quick little list of the simple things you can do to help avoid your locks breaking. You may never have thought of this before, but many doors around your home may be hollow. If this is the case it will be easy for burglars to remove the space around the lock relatively quietly. It will also be easy through general usage to damage the space near the handle that holds the lock in place. For these reasons it is a waste of time having a really good lock installed on very low grade door. Look into upgrading the doors as well as the locks themselves. Without sufficient lubrication, locks that are used often will become more and more stiff. A lock without lube is like a ticking time bomb. It's only a matter of time before the key becomes stuck inside at the wrong angle, snaps, and disables the entire device. In the vast majority of cases this damage will require a trained locksmith to perform a lock repair or full replacement. Many homes will still have outdoor facing doors that have only a basic 1 bolt lock installed. These can be snapped or dislodged with relatively very little force. Having these locks changed and replaced with deadbolt locks that are as much as 2 inches thicker, will greatly reduce the chances of the lock being broken by force.